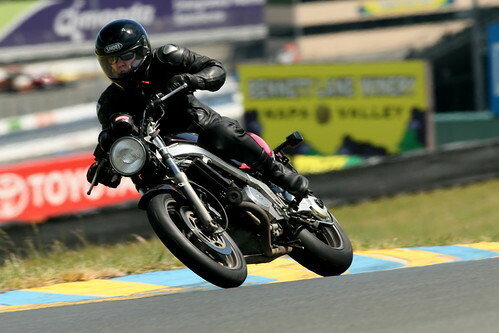 I took my motorcycle to the racetrack on Easter Sunday. The weather was perfect. Instructors were super helpful, and the classroom sessions were quite informative. Rode 2-up with an ex-racer, which was probably the most terrifying experience of my life, and also one of the most fun. I learned a few things about my general riding style that I'd kinda been aware of before, but were incredibly noticable on the track. Also, I really really need a garage instead of street parking. I need space to do things to my bike.... dirty, dirty things.